Key West is an endearing combination of old and new; a place where you can enjoy the rhythm of life on the island without having to forgo your favorite Starbucks drink. The vibe is decidedly chilled-out but there’s plenty to see, do, eat, drink and explore. The old town offers plenty of opportunity for revelry and entertainment, with happy hours, shopping and an overall colorful scene. If you’re looking to experience the breathtaking nature and scenery, the crystalline waters beckon with snorkeling trips and sunset cruises. Or, you may simply find your lounge chair and never leave the beach. Whatever your plans, a weekend getaway is a perfect way to experience Key West. Key West International Airport (EYW) is serviced by a number of airlines who offer flights from Miami and other major airports. You can also take a Greyhound Bus or consider the option of the ferry leaving from Fort Myers or Marco Island. If you’re driving in, you then have the option of parking and renting bikes during your stay. The topography is flat, making it perfect for cruising and strolling around; plus, our shuttle service will take you right into town. With a total land mass of just 4.2 square miles, Key West is easy to get around, meaning you can stay where you like and enjoy all it has to offer. Here at 24 North, we’re just over a mile from the airport and three miles from Duval Street’s restaurants, shops and tour offices. Our plush rooms are decorated in chic, beachy style. And with a pool, bar, great dining venues and shuttle service to town, we make a great home base for exploring all that Key West has to offer. Part of the beauty of Key West is just being on your own time. A great pleasure is waking up early and biking or walking down to southernmost to see the sunrise. 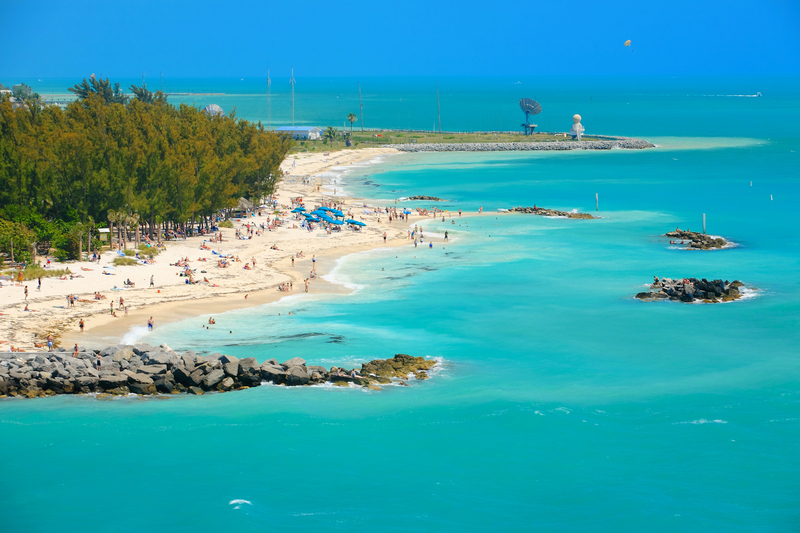 You’ll have Key West to yourself! You can then stop at any number of open restaurants ready to serve up a hearty breakfast paired with Cuban coffee or a bloody mary. Even if getting up early during your weekend getaway isn’t on your to-do list, when you do roll out of bed, don’t miss out on said breakfast experience. It can include anything from pressed Cuban sandwiches to lobster eggs benedict, steak and eggs, biscuits and gravy or bagels and freshly-squeezed juices. Try Blue Heaven or Cuban Coffee Queen, just to start, or have breakfast at Starbucks or our own Toasted Coconut before setting off. Try our Fifi French Toast! Rent bikes for the weekend and cruise around to see Key West’s characteristic beach house architecture. WeCycle has bikes starting at just $10 a day and offers delivery service. Explore the waters of the Gulf of Mexico and Atlantic (the two bodies of water bordering Key West) by planning a diving or snorkeling tour. Most of the good spots are a ways off shore, but you can easily book your trip and enjoy a half-day or day-long tour complete with equipment and snacks. Fury Water Adventures, Sebago and Sunset Watersports are just a few of the companies to compare. Another great water sport in the area is kayaking through the pristine mangroves. The island’s legendary sunsets can’t be missed, and during a weekend getaway you have several opportunities to take them in. Make an event of it during a sunset cruise (another chance to get out on the water). You can also opt to watch it from a restaurant like Latitudes, located right off Key West on Sunset Key. It’s just a seven-minute boat ride away. A weekend in Key West is really what you make of it. The vacation spirit knows no bounds, with creative cocktails, delicious island cuisine, soft sand beaches and boats setting sail throughout the day. For further reading, we invite you take a look at our two-part series on 24 Things you Can’t Miss in Key West. Take advantage of one of our special offers and let your whims lead the way.